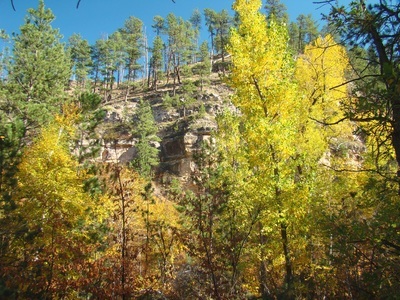 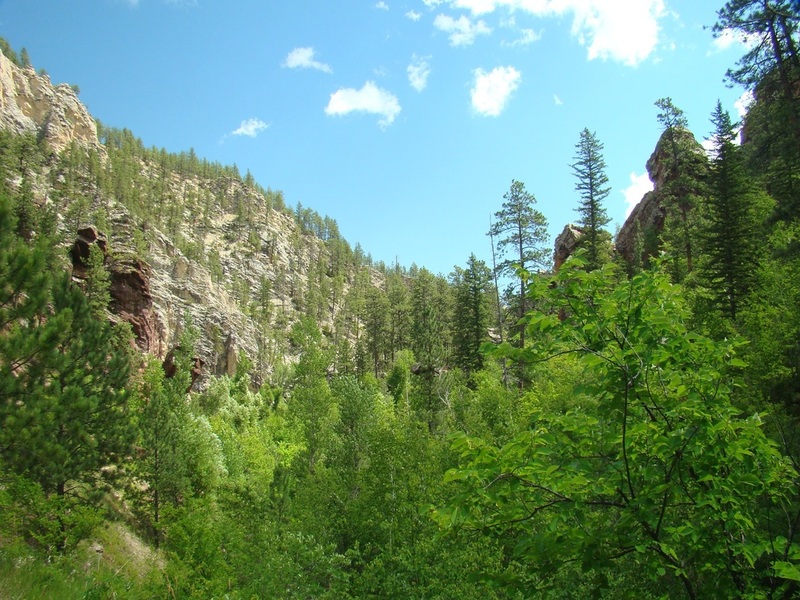 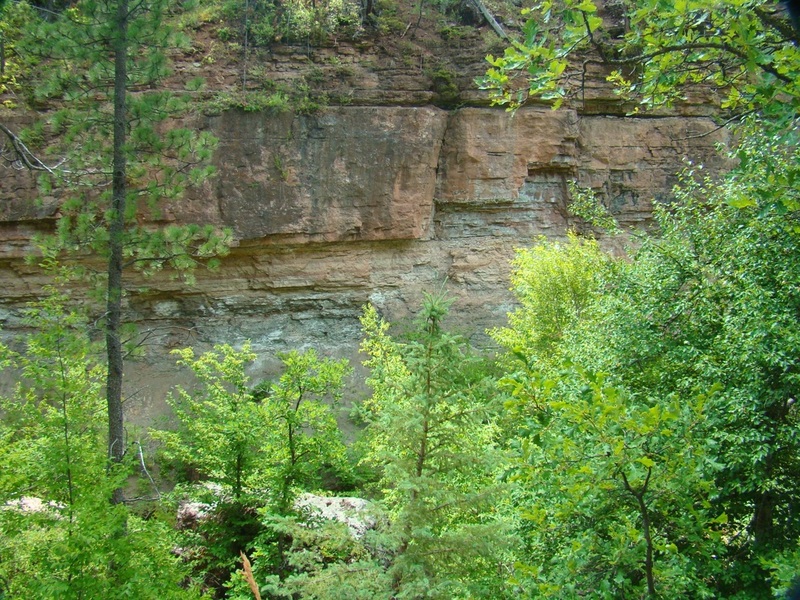 The northeastern Black Hills have several great canyons open for public exploration and hiking. 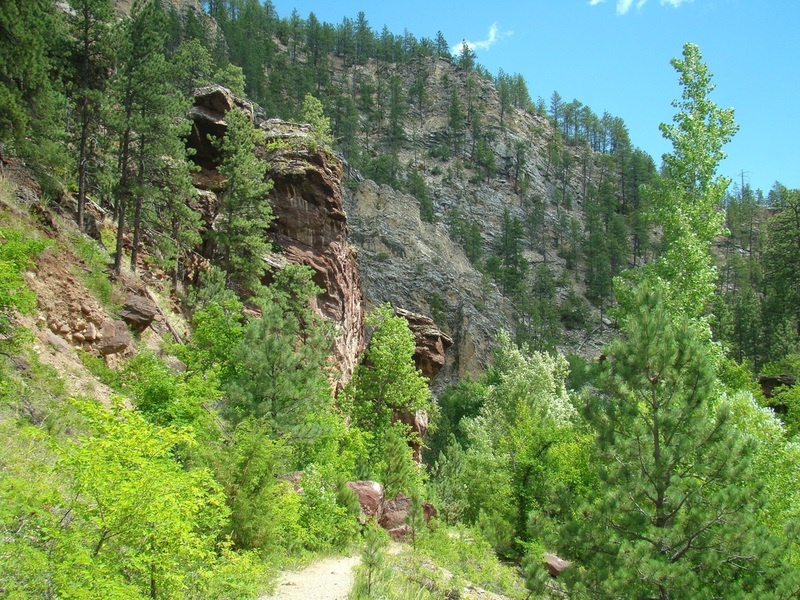 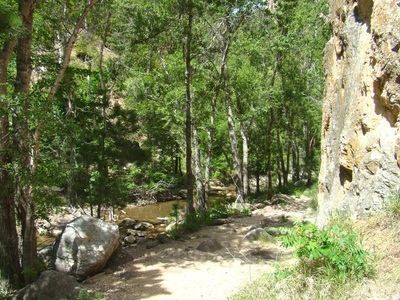 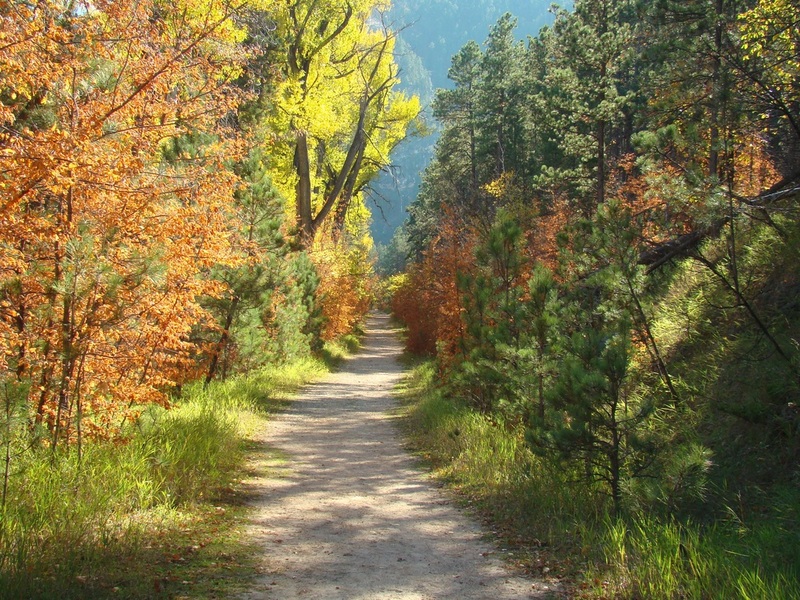 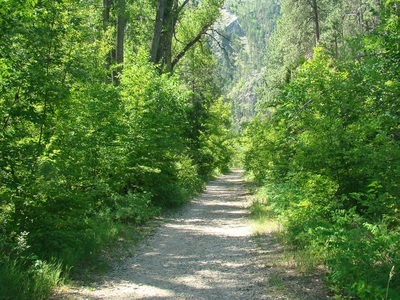 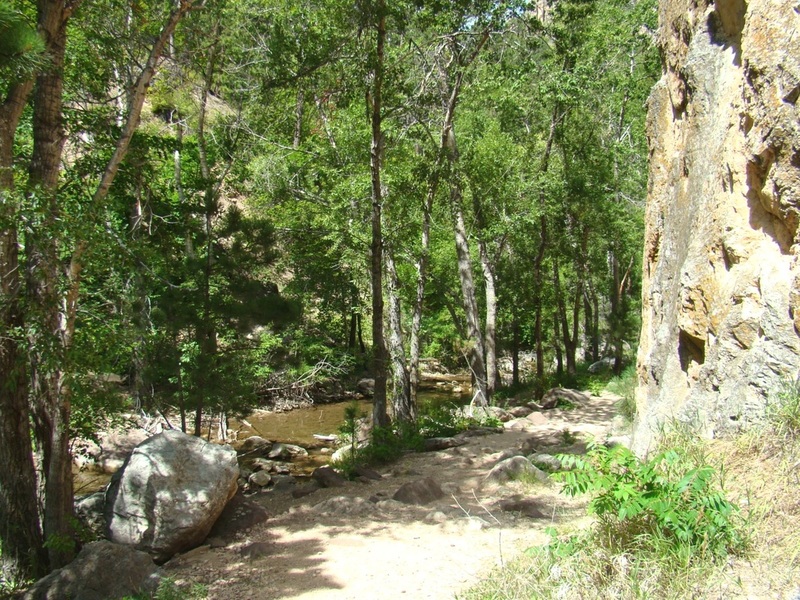 Little Elk Creek Canyon, near Piedmont, is one of the favorites of local hikers and runners. 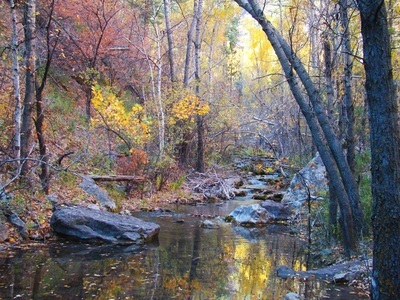 Visitors are treated to a lush canyon floor with a bubbling brook flowing near the trail. 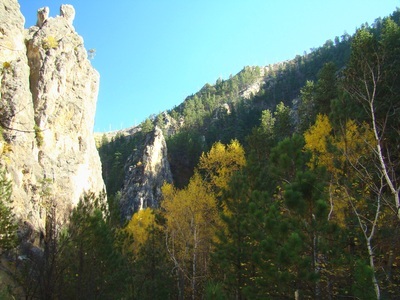 With an abundance of oak, aspen, birch, ash and box elder trees, Little Elk Creek Canyon normally provides great color in the autumn. 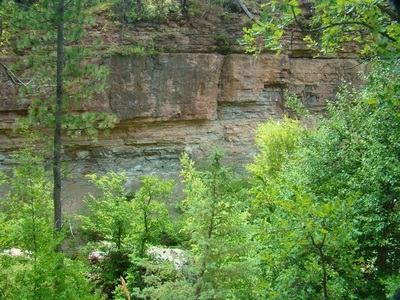 High limestone walls are found on both sides of the canyon, with major rock formations called Red Gate and White Gate. While the trail is pretty well-defined and rises at a steady grade, it is the roughest between White Gate and Red Gate. 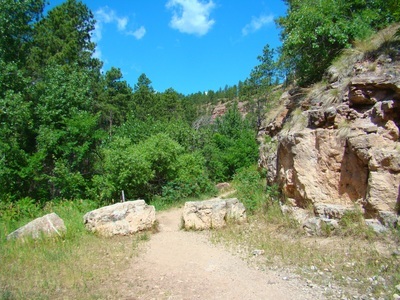 The trail is 2.8 miles long from the trailhead to the west end near Dalton Lake, and rises around 600 feet over that length of trail. 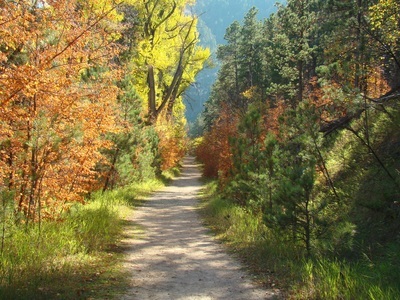 The pathway is built on an old road bed that was washed out by a flood a long time ago. 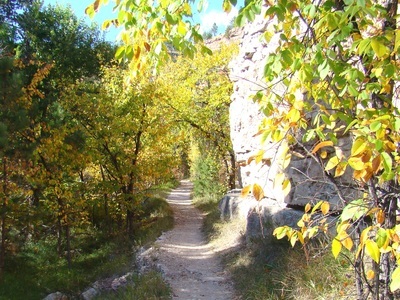 Therefore some parts of the trail are wide, while other sections are narrow pathways along steep and rocky canyon sides. For most of the length of the trail, Little Elk Creek flows south of the trail. 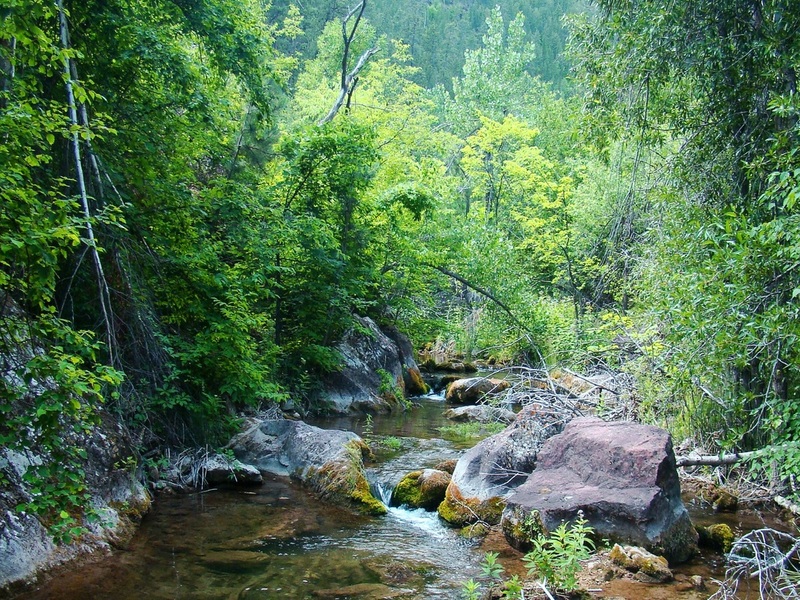 In some places, the stream is right by the trail while in other places it is a couple hundred yards the south. The route splits for a short distance in the upper part of the canyon and hikers will have to choose if they prefer the higher trail view or the lower route closer to the creek. 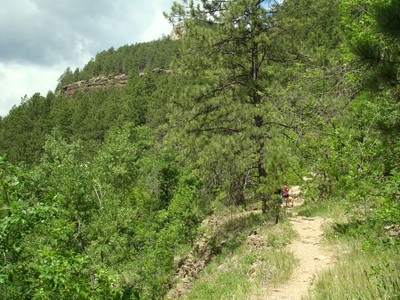 The presence of abundant hikers and runners probably scares off some wildlife, but deer are still regularly seen in the canyon. 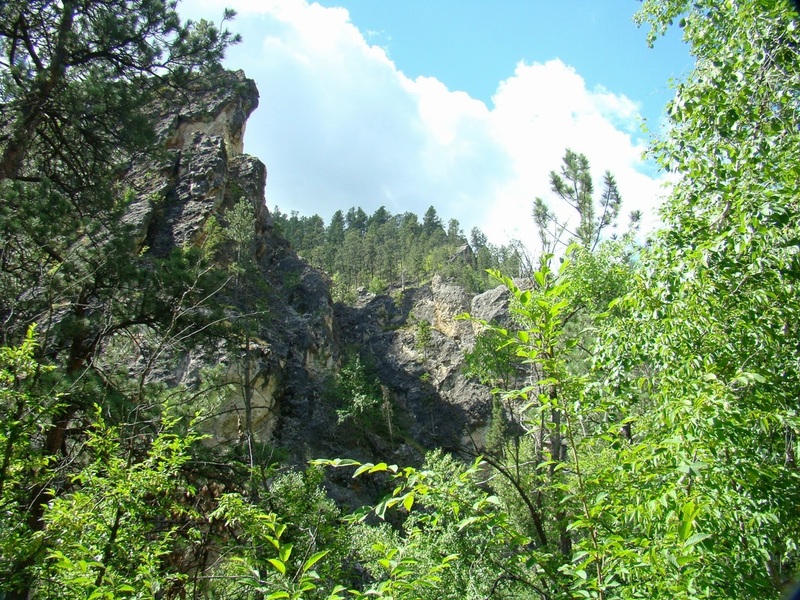 Elk, pronghorn, coyotes, mountain lions and foxes do inhabit this region of the Black Hills, but are not seen regularly in the canyon. 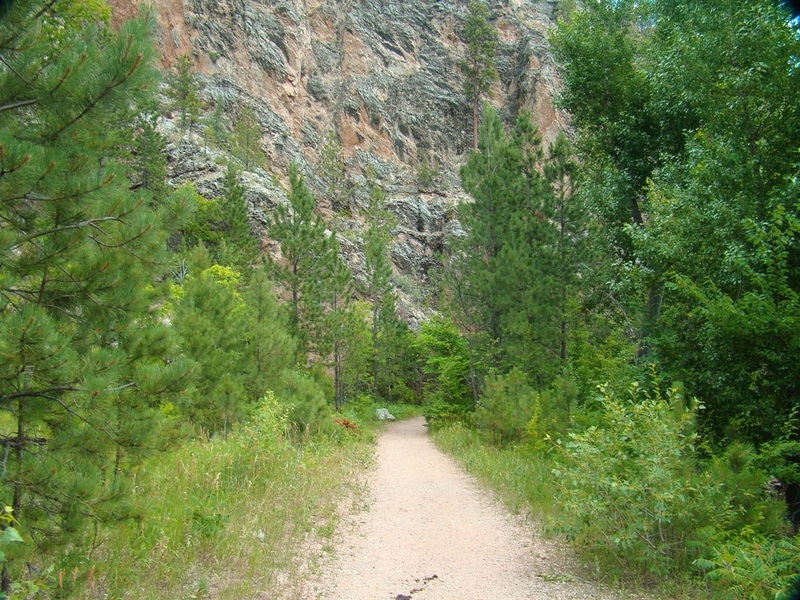 Dogs are required to be on leash, which is a good thing for this busy trail. There are no trails further up this canyon, but the Centennial Trail does cross the canyon at Dalton Lake. 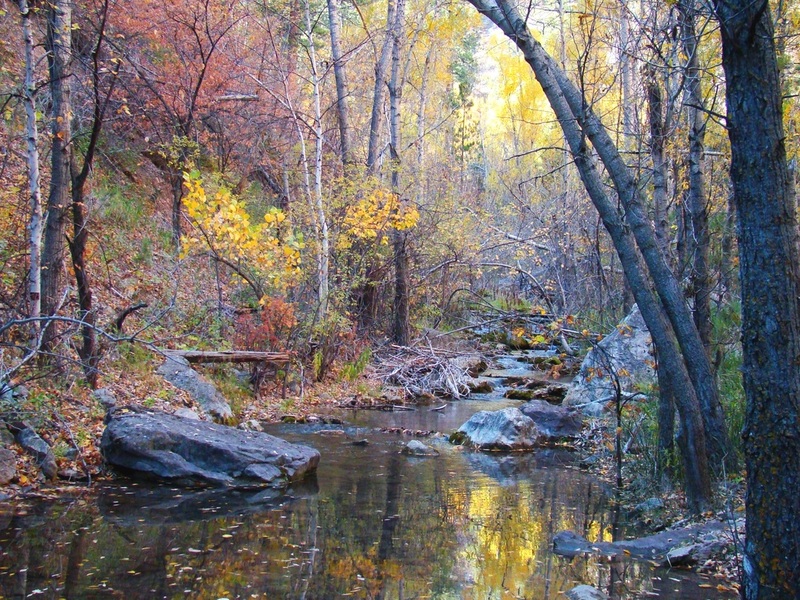 Flash floods are rare in this area, but they do happen. 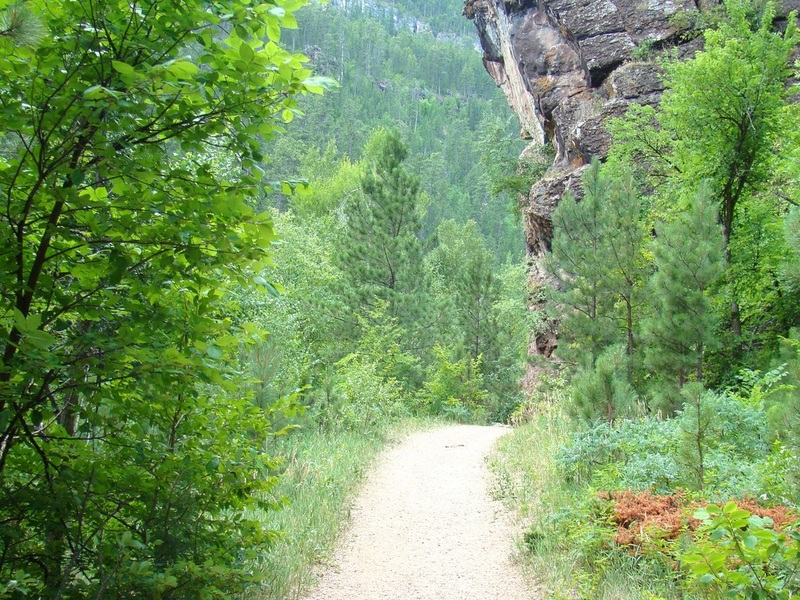 So keeping track of the weather is always a good idea. To reach the Little Elk Canyon Trailhead from Interstate 90, take Exit 44 (Chimney Canyon Road). 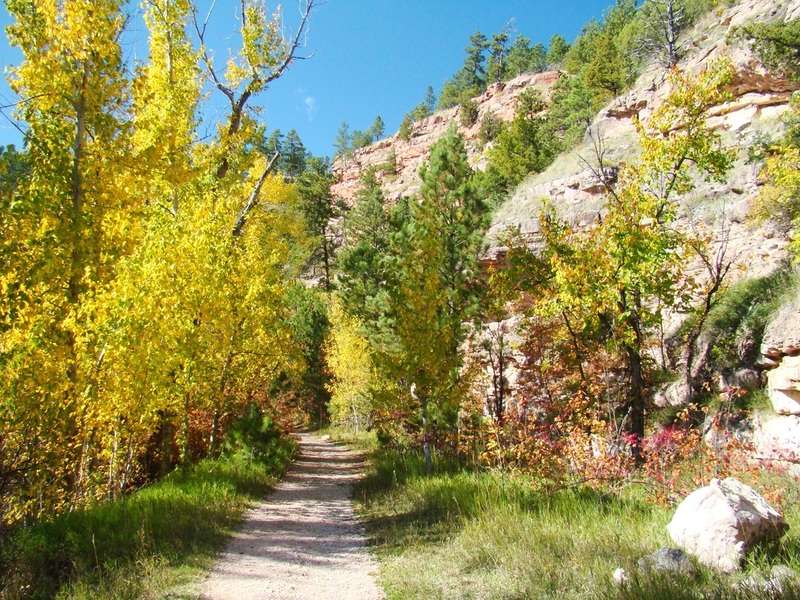 Go west to the service road, then north on a short distance to Little Elk Creek Road and finally 1.5 miles to trail head at end of road. 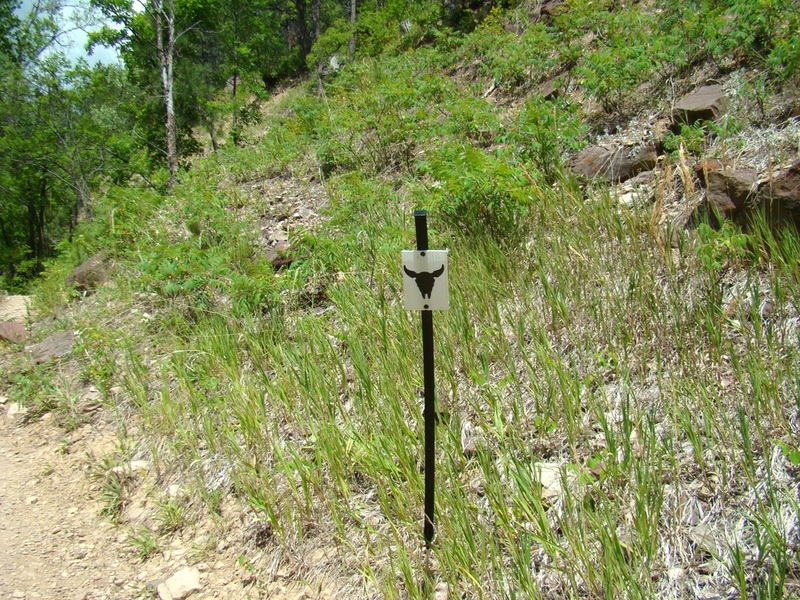 There is a rough parking lot at the trailhead. The map on this page should help hikers understand the route of the trail and how to get there. 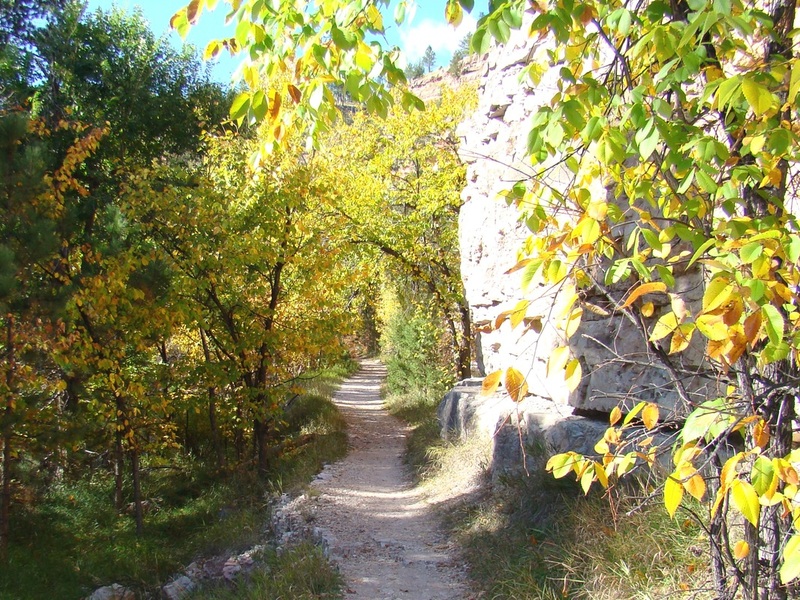 Trail, stream and rock walls all meet here.